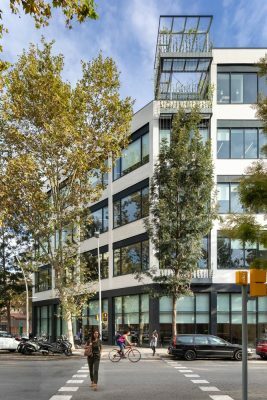 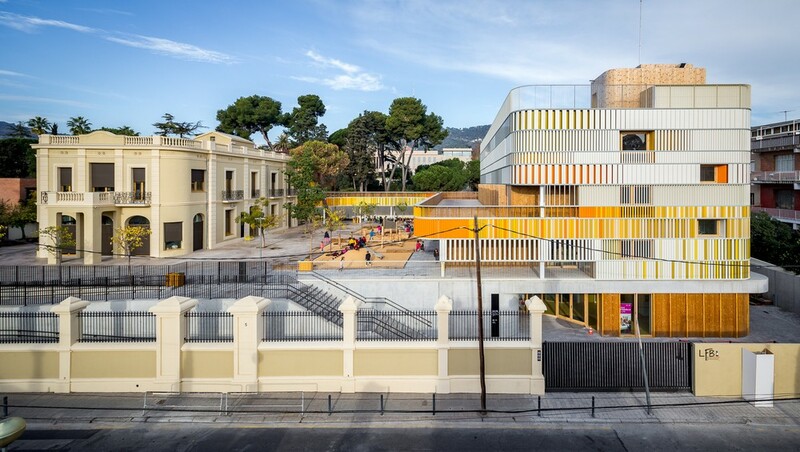 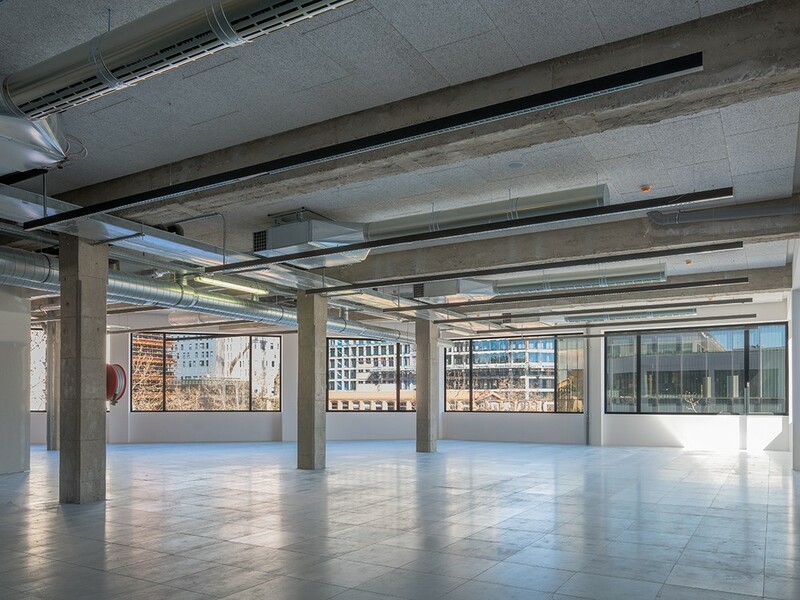 Located in the 22@ innovation district in Poblenou, a former industrial area that is the subject of one of Europe’s largest regeneration projects, Tanger 66 has repurposed a mid-century industrial building to create more than 8,400 sq m of workspace. The building was snapped up in its entirety by Hewlett Packard, which pre-let the building ahead of completion. 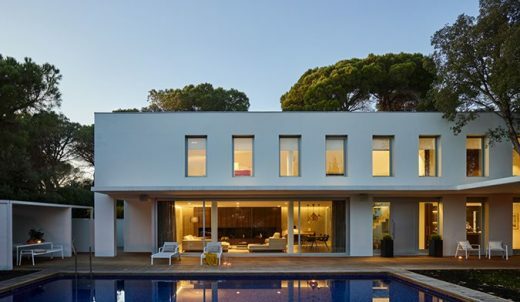 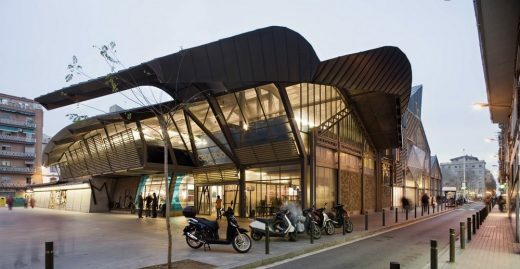 “Tanger 66 is a departure from the norm in Barcelona – where market convention tends much more towards scrapping a building of this age and rebuilding. 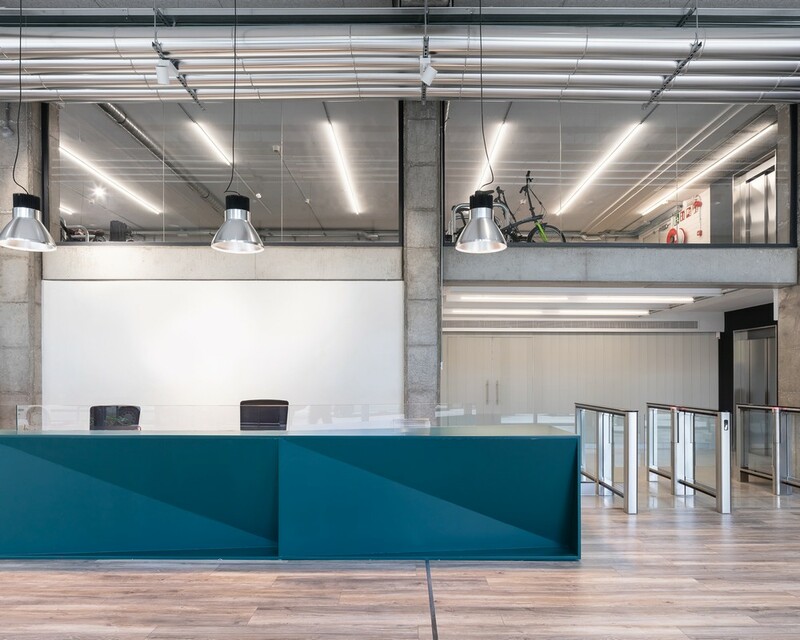 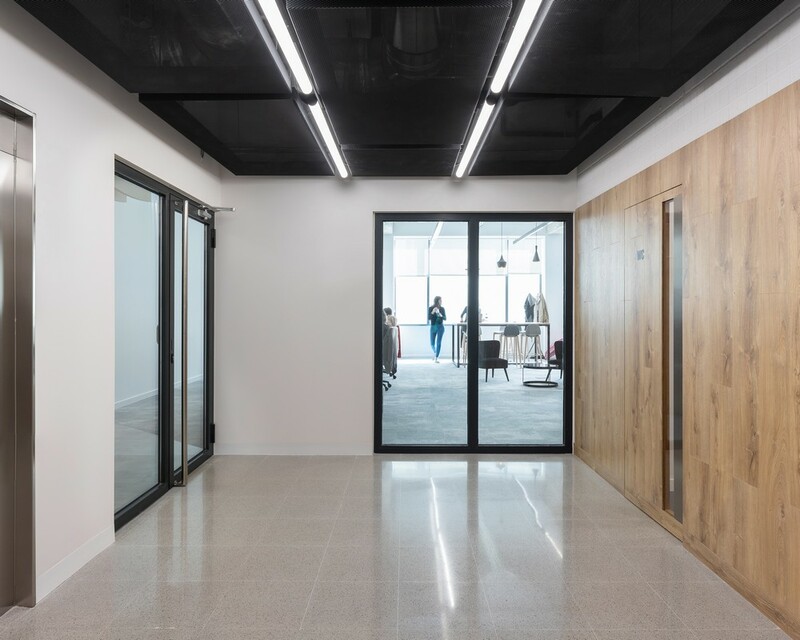 Our client, UK and European Investments, was interested in the approach that BuckleyGrayYeoman has successfully developed in East London, which says you can repurpose and dramatically improve a building without sacrificing the edgy urban character of the surrounding area. BuckleyGrayYeoman was originally commissioned by UK and European Investments to conduct a feasibility study on the 1940s warehouse at Calle Tánger 62-74 in 2015. 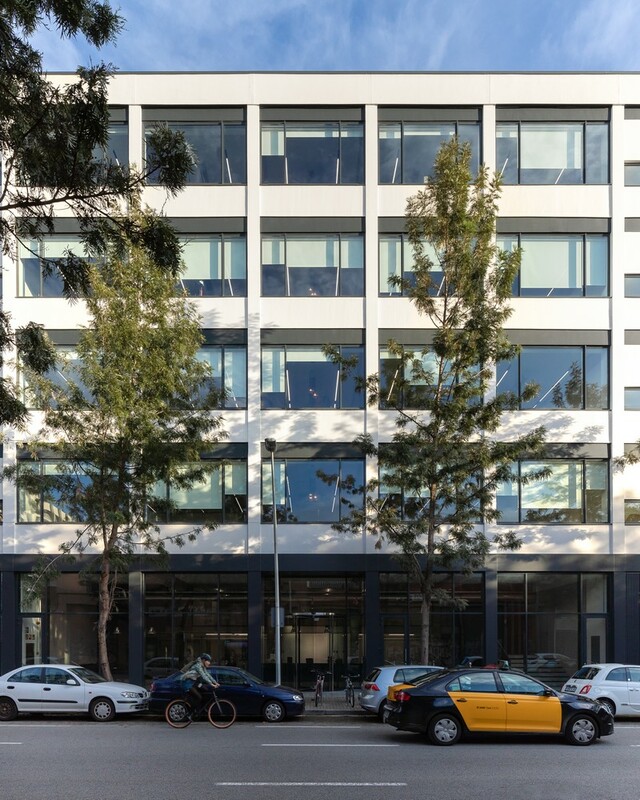 What the practice found was a rationally-designed building with a robust concrete frame and exceptional 4-metre floor to ceiling heights. 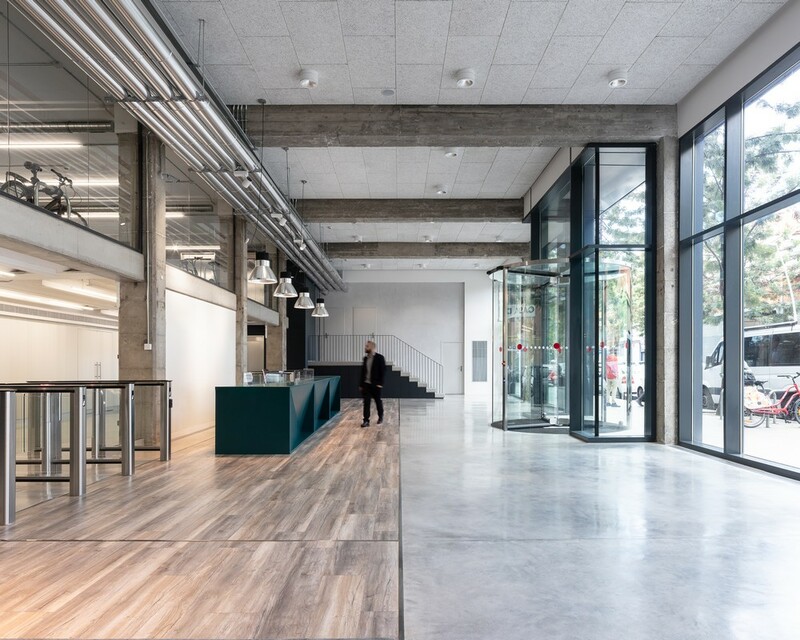 BuckleyGrayYeoman’s experience in London suggested that, with the right interventions, the building would be perfect for conversion into workspace and designed a scheme that focussed on making good the building envelope and replacing the glazing, improving the servicing and remodelling the cores of the building to introduce bathrooms on each floor for the first time. A new office reception in an impressive double height space was created by removing a section of the first-floor slab. 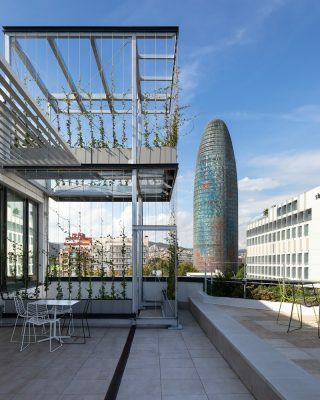 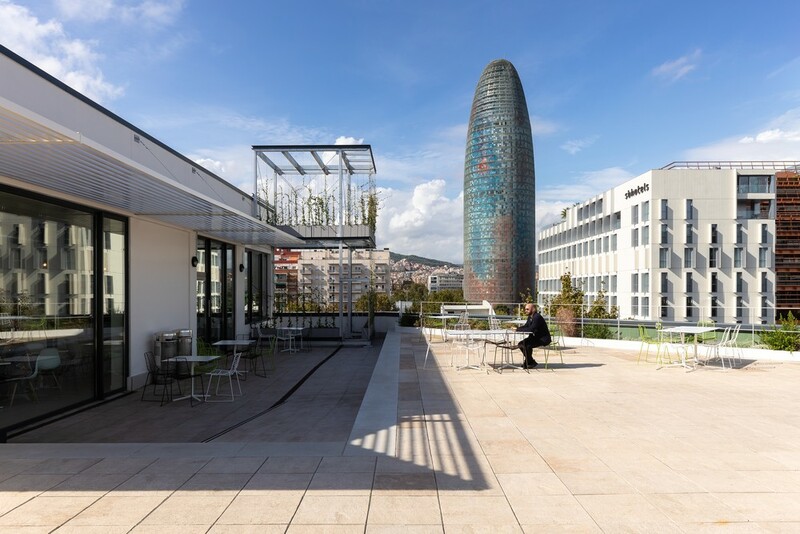 Additional flourishes include an external totem structure in corten steel that maximises the presence of the building on a corner facing a crossroads, a matching corten portal that frames the new reception and a rooftop garden set over two terraces to offer views across Barcelona, taking in the Mediterranean sea and Jean Nouvel’s nearby Torre Agbar. The completion of the Tanger 66 marks the beginning of BuckleyGrayYeoman’s expansion into Europe with the practice recently appointed on a host of European projects including an office repositioning project in the centre of Madrid; the redevelopment of a warehouse in Norrköping, Sweden; and the refurbishment of a commercial building in the heart of Milan.